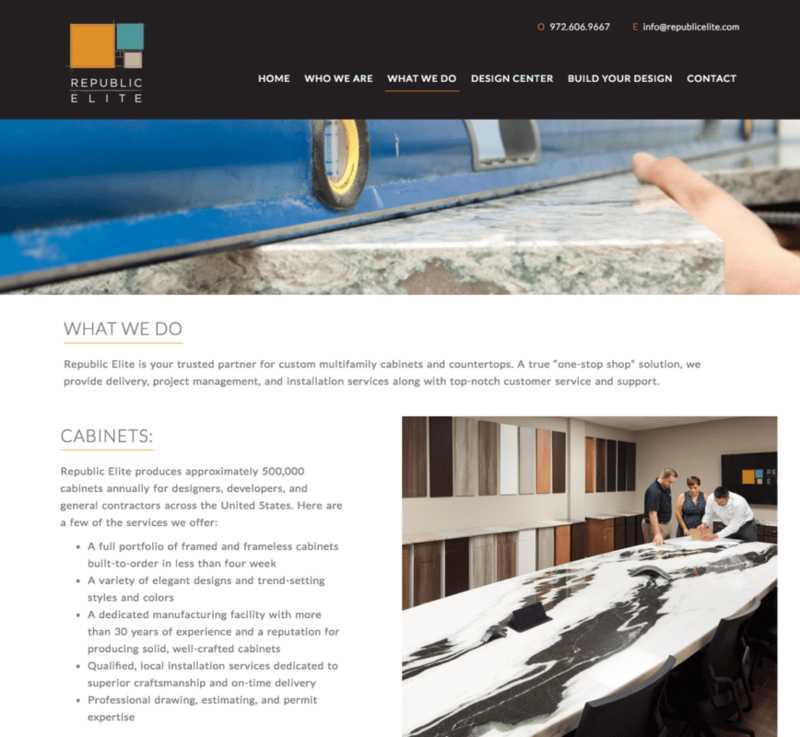 We recently partnered with Republic Elite, a multifamily cabinet manufacturer in the Dallas/Ft. Worth area, to deliver a custom website design and development brimming with outstanding functionality. 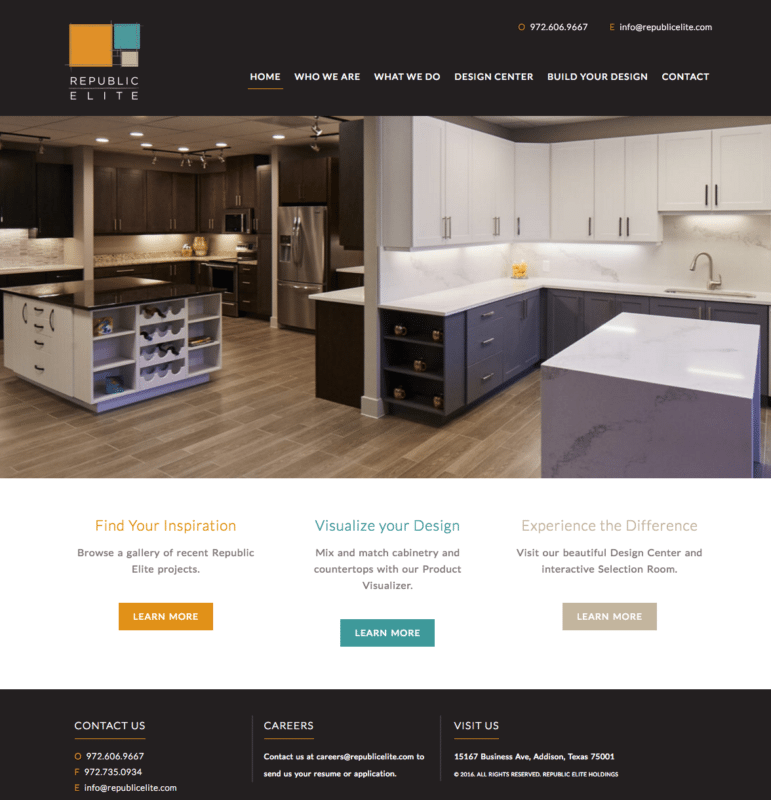 Our latest design showcases an exceptional user experience that goes above and beyond competitor websites’ capabilities. 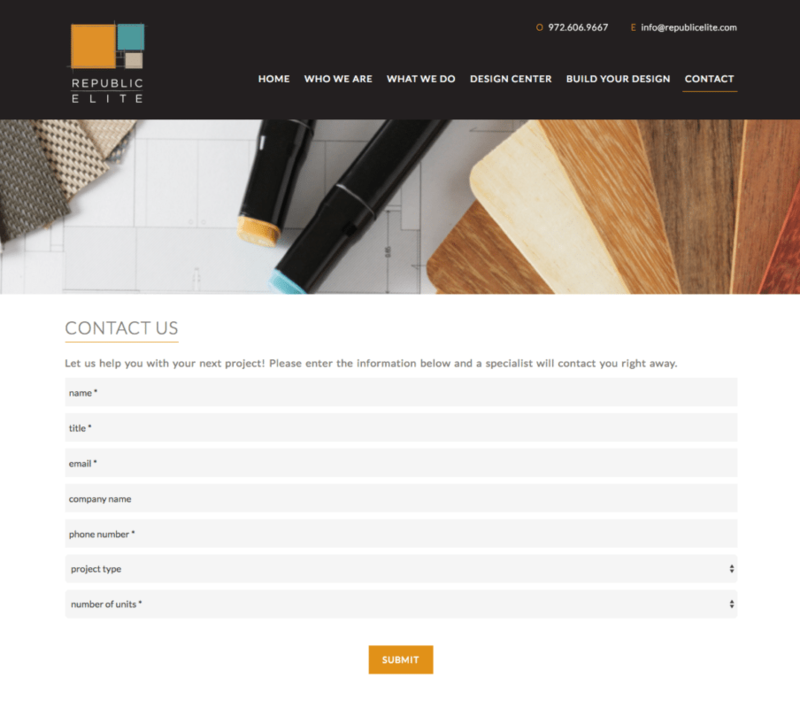 Republic Elite’s newly launched custom cabinet builder lets users mix and match cabinets, wood finishes, and countertops to create a personalized cabinet design. With each easy step, users add a component to their custom design… resulting in a shareable graphic that interior designers can easily save to mood boards and design concepts. Even better? 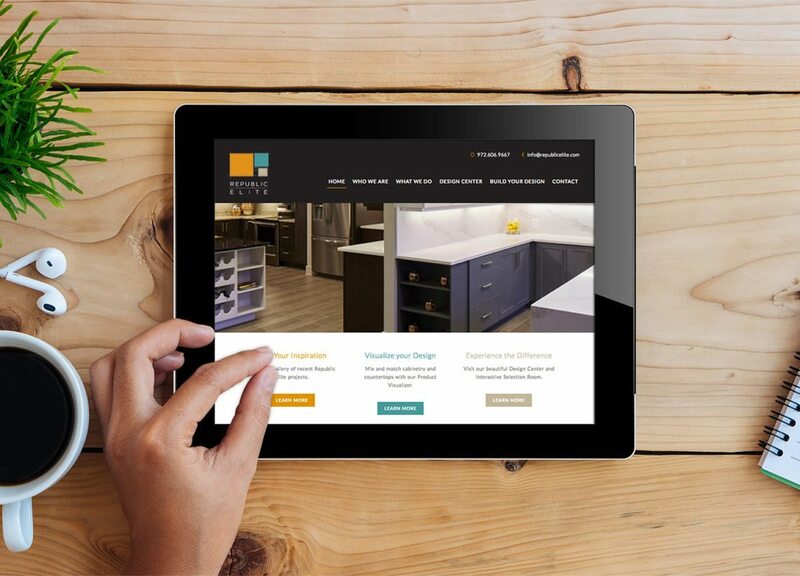 Each custom cabinet creation generates a distinct URL; making it easy for users to return to a specific combination without having to re-create their vision. Meanwhile, the clean layout of this website design maintains a professional look throughout. Subtle animation details add interest without sacrificing a minimalist aesthetic. Hats off to our development team for making this functionality possible—we have no doubt it will a major asset to Republic Elite and their clients.